The Jefferson County School Board will meet for a regular meeting on Monday, Feb. 11 at 6 p.m.
Held at the school district office, located at 1490 W. Washington Street, the meeting will cover agenda items such as the Kilpatrick Auditorium rental agreement, an updated offer for Howard Middle School as well as the surplussing of Howard Middle School, amongst other items. The meeting will provide a public comments portion for citizens to address concerns to the board. 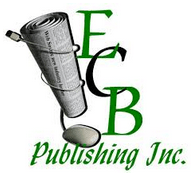 on our Facebook page – facebook.com/ECBPublishing. To view the agenda for the Feb. 11 meeting of the Jefferson County School District, visit jeffersonschooldistrict.org, click “School Board Information” on the left side of the page and then “School Board Packets and School Board Policies” on the right side. Visitors will be brought to an online portal that contains board policies and board agendas. Click “Board Agendas and Meetings” and follow the appropriate dates to the Feb. 11 posted agenda.